Plumbing Archives - New Process Fibre Company, Inc. When choosing the right materials for plumbing applications, water resistance and durability are paramount. While metals have traditionally been used for plumbing components, there are non-metallic alternatives capable of the same level of performance as metals, but are often less expensive. Nylon 6 and PTFE are just two examples. Nylon 6 is often used for bearings or as wear material. The material is characterized by good wear resistance, high tensile strength, and by its elasticity. The high strength and durability make it an ideal material for replacing metals. Unlike most metals, Nylon 6 can withstand long term exposure to alkalis, dilute acids, and oxidizing agents. On the other hand, its elasticity makes it ideal of replacing various plastics, rubbers, and wood. Nylon 6 also has high impact, heat distortion, abrasion, and vibration resistance. 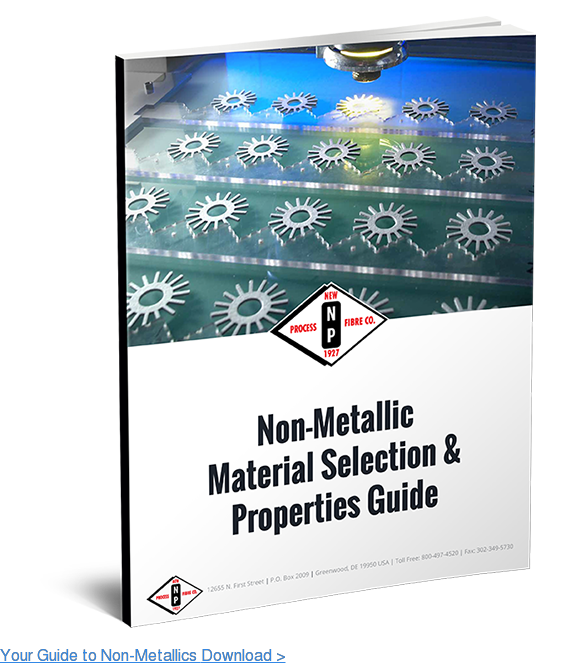 Page 15 of our Non-Metallic Material Selection & Properties Guide has more details on the mechanical properties of Nylon 6.
performance. Another thing to keep in mind is that Nylon 6 is softer than one of its counterparts, Nylon 6/6, so Nylon 6 seals better for a male-to-female connection. Some common uses of Nylon 6 would be in sprinkler heads, showerheads and faucets. Our Nylon Washers might be ideal for your project. Visit our product information page to learn more. PTFE is a fluorocarbon-based polymer with very high chemical resistance, a large operating temperature range, and high resistance to weathering. Any type of filler that is added to PTFE greatly enhances its mechanical properties. 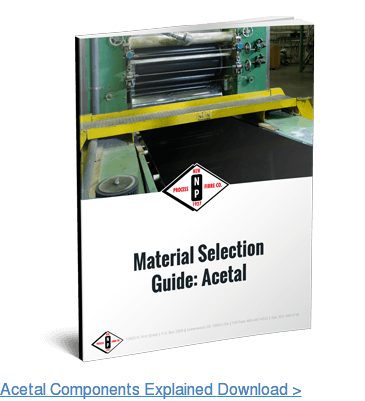 The material is a good thermal and electrical insulator, with a low coefficient of friction; because of these properties, it is often used in brake systems, plumbing applications, HVAC systems, electronics, and many more. 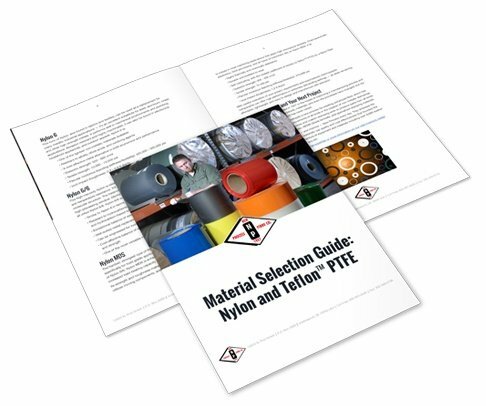 Page 26 of our Non-Metallic Material Selection & Properties Guide has more details on the mechanical properties of PTFE. PTFE is ideal for plumbing applications because it is completely impermeable to water or water-containing substances and oil or oil-containing substances. In fact, thread seal tape (also known as plumber’s tape), which is used to seal pipe threads, is made from PTFE. Also, due to PTFE’s ability to withstand high temperatures, utilizing PTFE washers for hot water applications would be ideal then you do not have to worry about a washer deforming or melting and causing leaks. Some common applications where PTFE can be used would be sprinkler heads and faucets. Our Round Flat PTFE Washers are ideal for providing secure seals in plumbing applications. We would love to hear from you. Contact us today to learn more about our non-metallic solutions for plumbing applications. THERMOPLASTIC FORMULAS, SUCH AS NYLON AND TEFLONTM PTFE, PROVIDE A HIGH-PERFORMANCE, LOW-COST ALTERNATIVE TO THE TRADITIONAL METAL WASHERS, GASKETS,AND SPACERS?